I'm a sucker for a cinema day, I love experiencing new movies on the big screen because there's nothing quite like it. 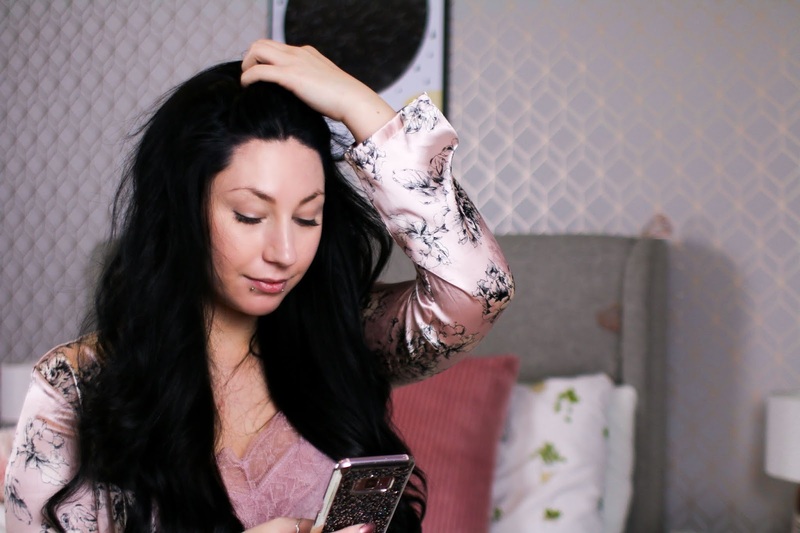 The atmosphere can't be beat but I also love my home comforts, being able to laze about and eating all the food I want whilst I snuggle up and take in a good movie. 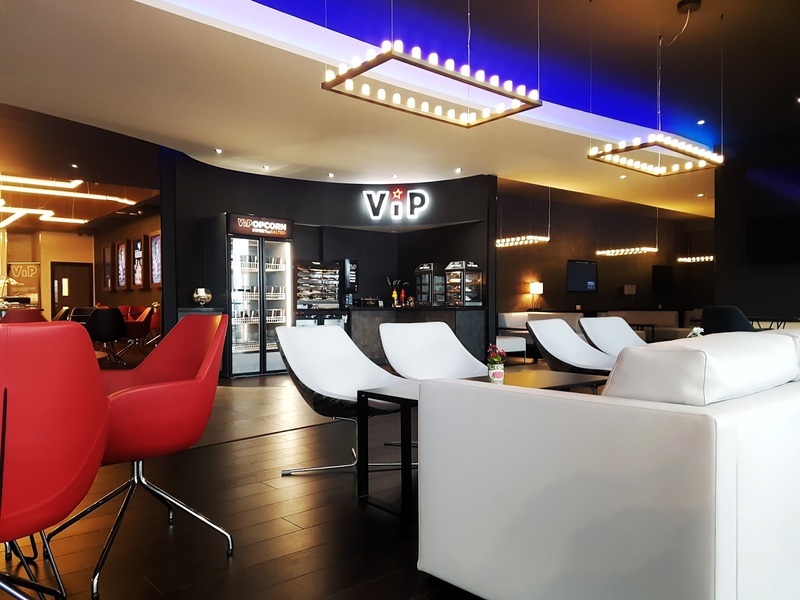 This is where the VIP experience at Cineworld comes in. 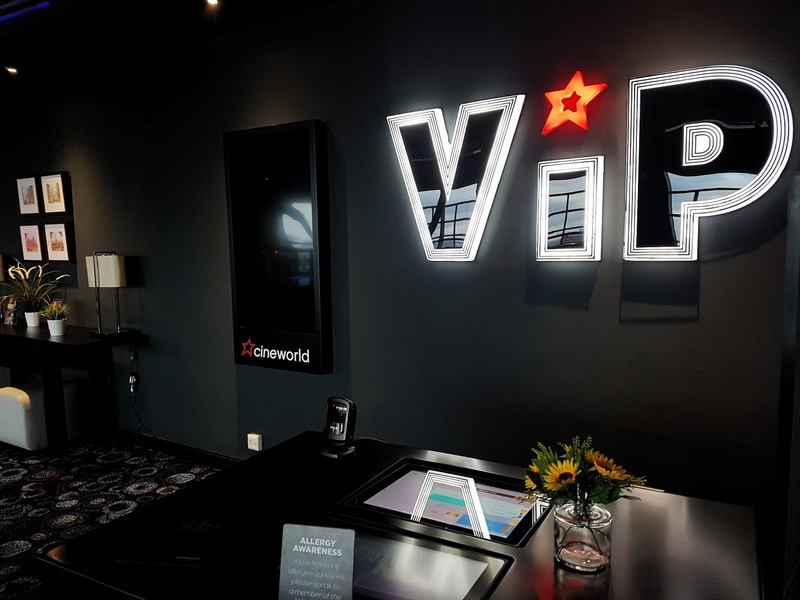 Cineworld at Sheffield and Glasgow Renfrew street have started offering the VIP experience, it's more luxury viewing than you may be used to when you visit the cinema and I'm here for that 100%! 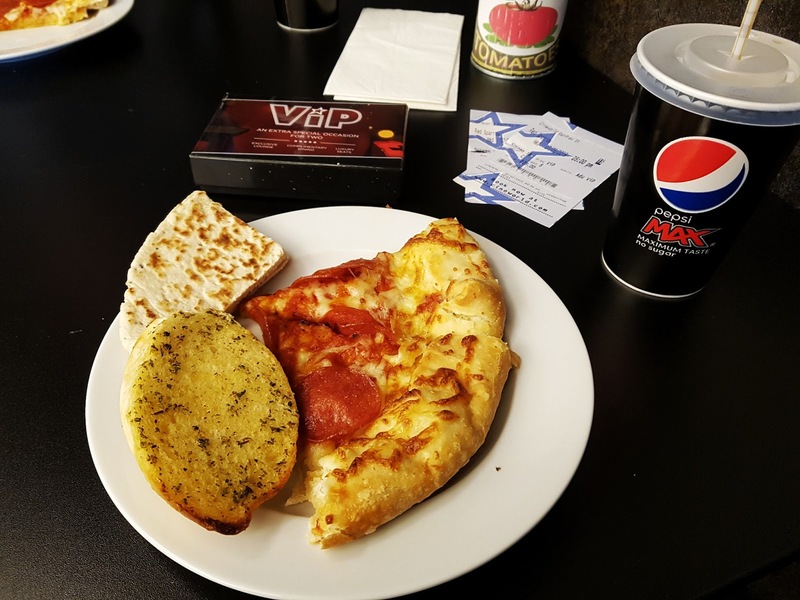 The VIP includes a buffet with different foods like pizza, pasta, delicious deserts and more. 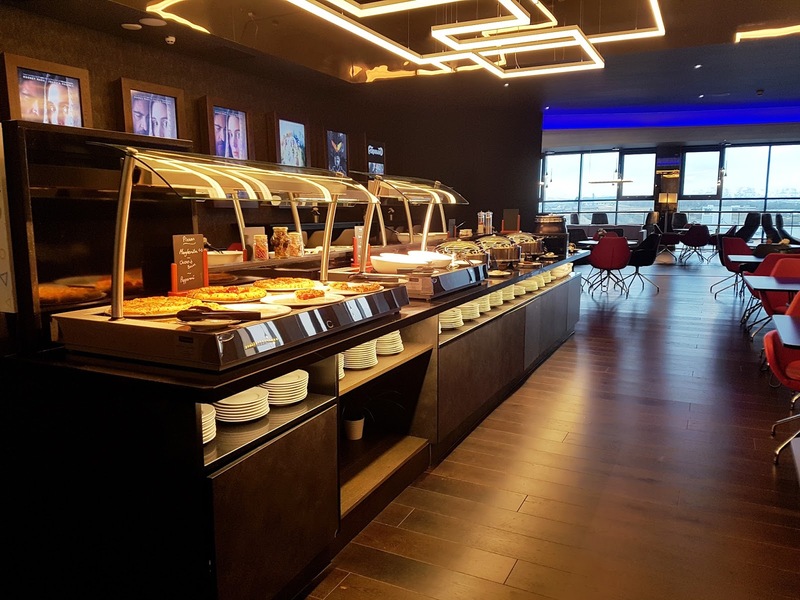 You also get unlimited soft drinks and water (alcohol is charged at extra) plus you get unlimited snacks which include hot dogs, popcorn and nachos. 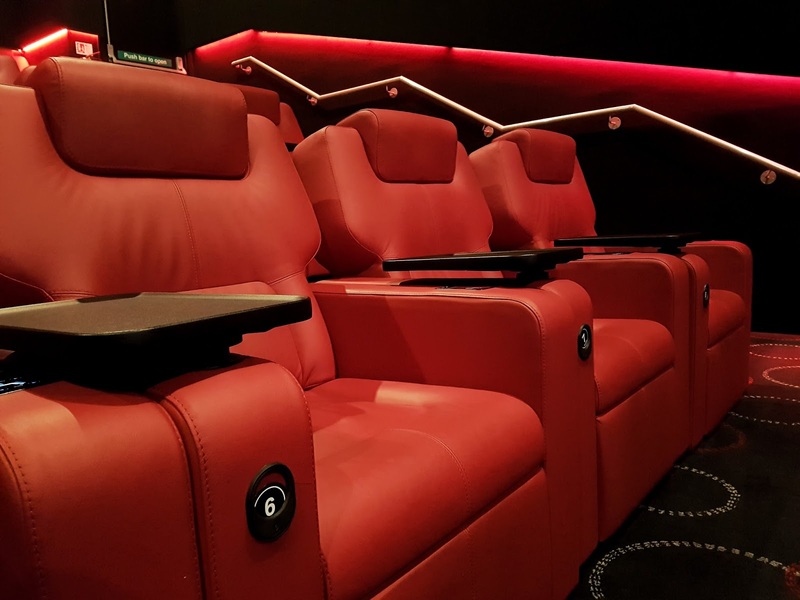 Along with all of this you will be viewing the movie in style by relaxing into a lazy boy styled reclining seat that has a touch pad control and a movable table attached for all your snacks. You are encouraged to come in 45 minutes before the time shown on your booking so you can experience everything but I would recommend maybe an hour, an hour and a half before so you can have the full benefit and relax without having to rush. 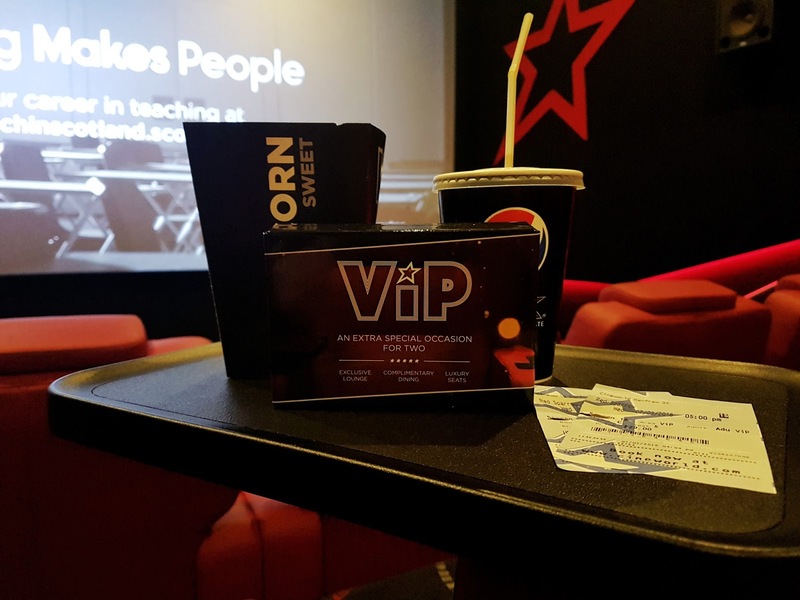 The whole process for booking the VIP couldn't be easier, you can do it online or in the cinema just like you would buy a regular ticket, it's not something that requires a different method and if you buy a VIP gift box then you can use that online and in the cinema as well. As someone who loves to book online this made the whole booking process really easy as sometimes with gift cards in places you can't use them online. This gift box which would be a great gift for mothers day by the way *hint hint* entitles two people can get this experience. 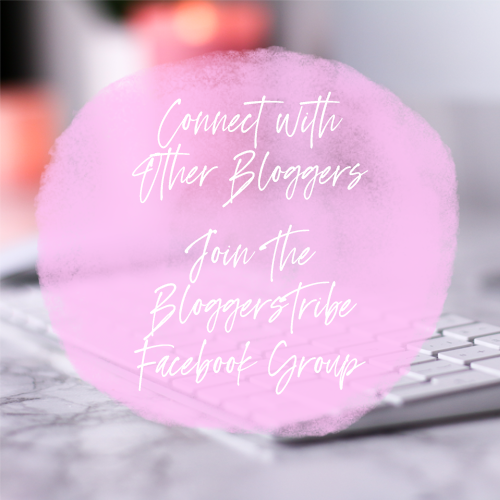 Now that I have told you about the VIP experience and how it works let's get onto my thoughts in it and how my experience went. 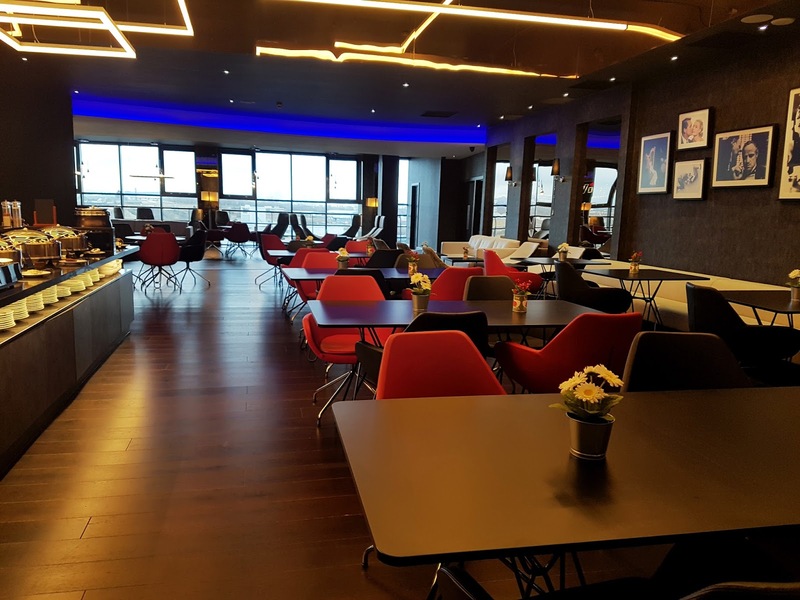 As soon as I got to the top floor of Cineworld I was impressed, the whole area looks high end and very relaxing. Sometimes I get worried with these sort of things, like it will be to "proper" and I won't feel relaxed because of this but I didn't get that vibe at all. We were greeted by a really friendly woman who told us how the whole thing worked, where everything as and sent us off with a smile. Seeing the buffet my mouth watered, I clocked the pizza straight away and that was obviously my food of choice. If I had been hungrier I would have scoffed the lot that was put out and then some so that's something I will make sure of next time, I won't be eating before hand haha. The pizza was delicious to say the least and the garlic bread was on point. I kept eyeing up the frozen yogurt machine, it was calling my name from the moment I walked in! I really enjoyed the Buffet, all the food I ate was yummy. After the buffet we decided to try a little drink and see how much it would cost, all in all we were £6 something which isn't too bad, it is the cinema after all. 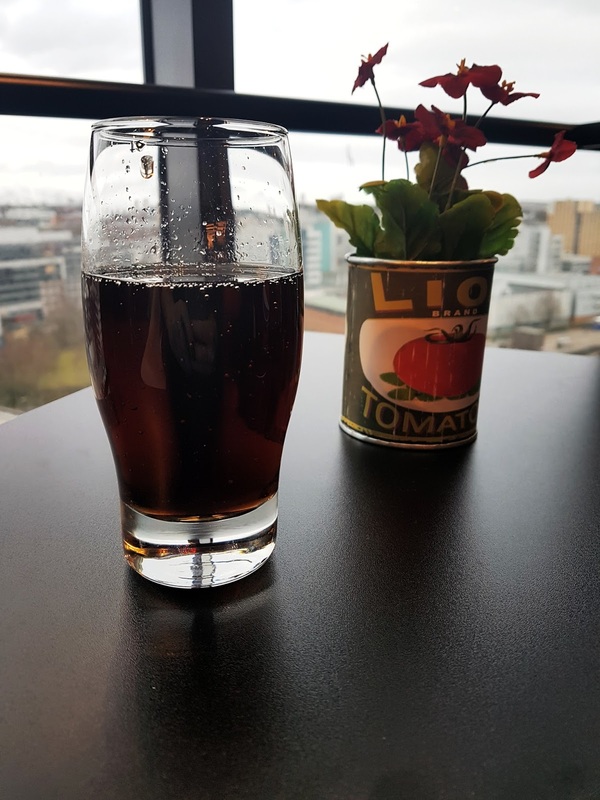 We took our drinks over to the lounge area which has a ton of extra comfy seats looking out over Glasgow and some booth type seats. This is where the snacks area was as well, I liked the whole vibe, very much help yourself and relax. The staff on that night were super friendly and answered all my questions which was nice of them. I can't fault anything about it at all. After relaxing for about 15 minutes it was time to get into the screen and enjoy the movie. We opted for some drinks, 3 buckets of popcorn and a hot dog... When in roam, right? haha I do wish I was more hungry because I would have loved to have a major munch session. We walked in and were instantly wowed by the seats. There was about 40 in total meaning it's a more intimate setting and I like that. You can sprawl out by raising the foot rest and putting your chair back. The touch pad for the chair control are very easy to use and when you get out of the seat for a certain amount of time it goes back to it's upright position (well some of them do, mines never done it but my grans did). It ended up just being the two of us in the movie and I have to be honest, I think that's why I enjoyed myself more, I felt completely relaxed, like it was my own house or something. We did speak to one of the staff and they told us that at the weekends and later on in the night it tends to be busier which I saw when we were leaving out showing, there were so many people shuffling in to see their movie in another screen. If i am being 100% honest, I'm sold on this. I really can't imagine going to the cinema any other way now. My plan is to have the VIP experience when it's a movie that I REALLY want to see so I can enjoy it in style. Although it may sound steep with a price tag of £29pp I can assure you that it's worth it. You get as much food and drink as you want, so much comfort and see a movie. When you think how much you could pay for it all separate it does feel worth the money. My only problem with it was there was no tango ice blast machine!!! If I wanted one I would have to go to a different floor for it with I mean, it's not that bad but I would have liked to see one there, even if I had to pay for it as an extra I would because I am OBSESSED with them haha. So if you fancy a luxury cinema experience, give this a go. It's not only fab to go experience, it's also great as a gift and I'm sure who ever you buy this for would be forever grateful. I have not been to the cinema in a while, certainly not an experience like this. It looks amazing with the buffet and those seats look really comfy! 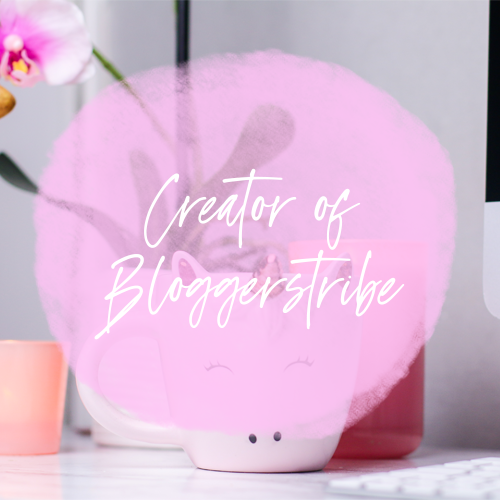 This sounds fantastic! I think like you say the price is good value when you consider you get everything included. No need to go for a meal beforehand or buy any snacks or drinks for the film. Those seats are huge! I love this concept! Husband and I love going to the cinema and we hardly ever get the chance to see a proper film now with the kids so this would be extra special. OMG, that sounds amazing!! I would totally be up for this. Oh my goodness this looks and sounds amazing! A complete evening out in one venue- perfect Now wishing I lived near one of these Cineworld cinemas! 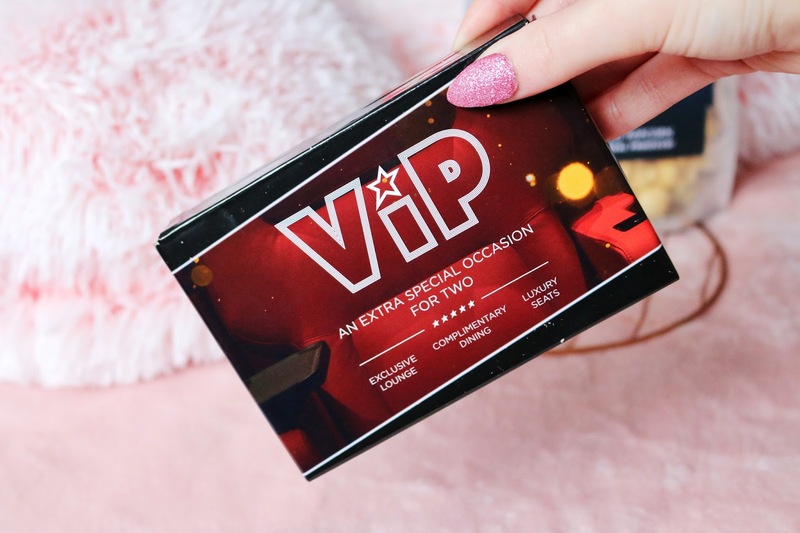 I have a cinema card that I need to use but I didn't know they did VIP experiences as well, how very cool.